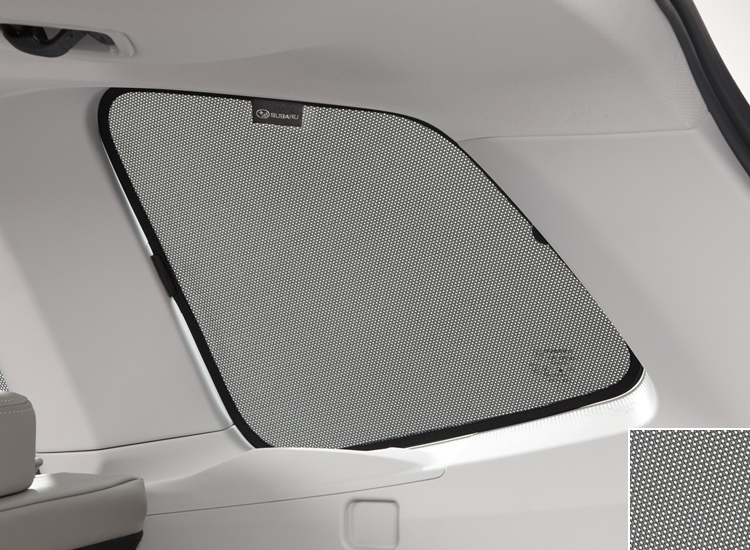 Keeps the direct sunlight out and darkens your luggage compartment. Foldable type. 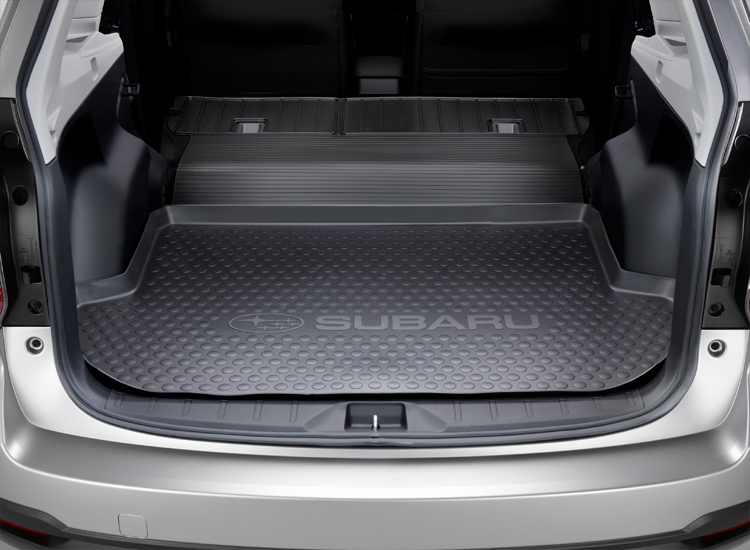 To be stored in a Subaru branded bag. Keeps the direct sunlight out, making the interior space more comfortable. Foldable type. To be stored in a Subaru branded bag. Extra protection for the luggage space. Suitable for fishing and hunting. *Not in combination with Dog Guard (GM). 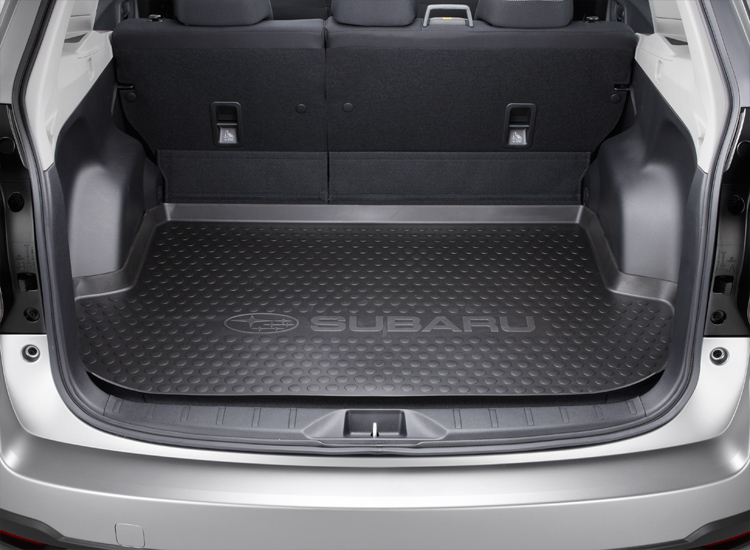 Protects luggage space floor from dust and dirt. 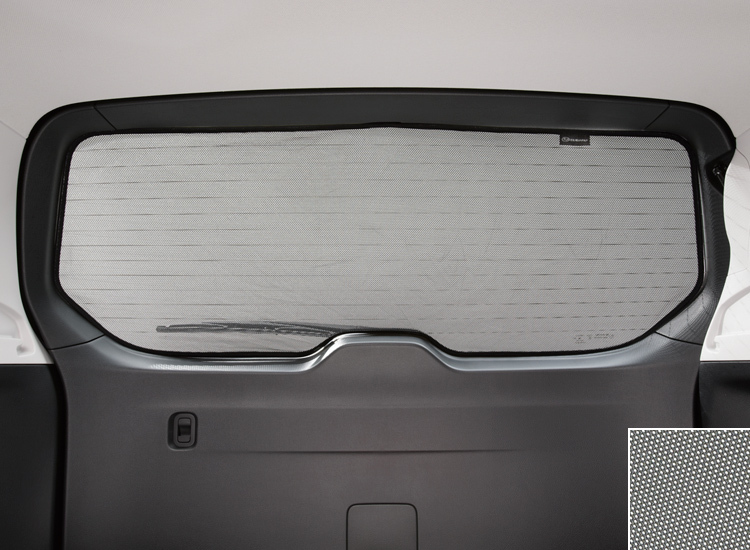 Protects back of rear seats from dust and dirt. *In combination with Cargo Tray Low. Check availability at your dealer. For a clean and tidy luggage area. 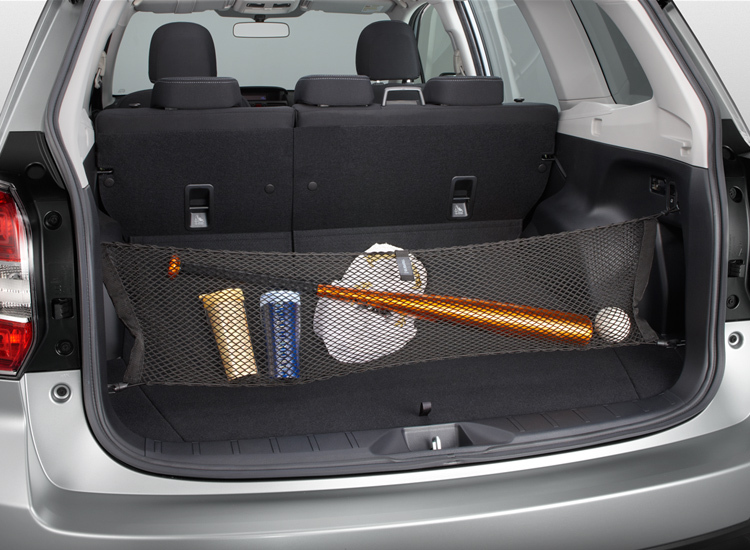 Perfect complement to side and seat back nets. 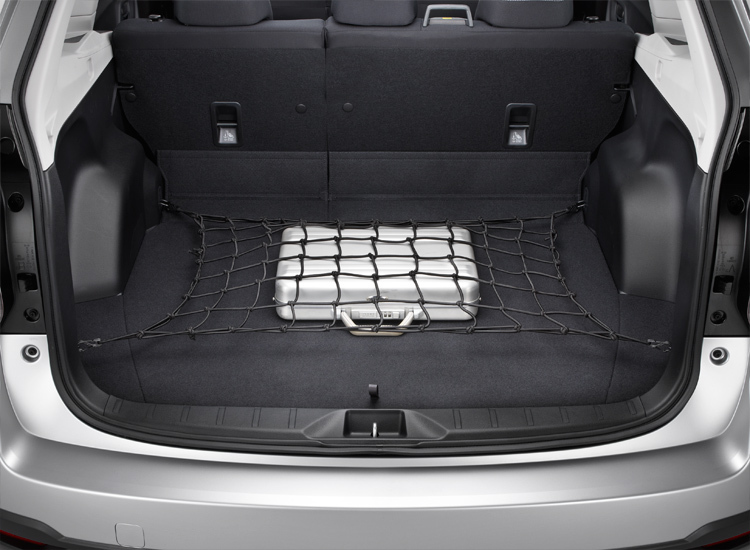 Neatly and secures cargo, and prevents it from falling out when the rear gate is opened. 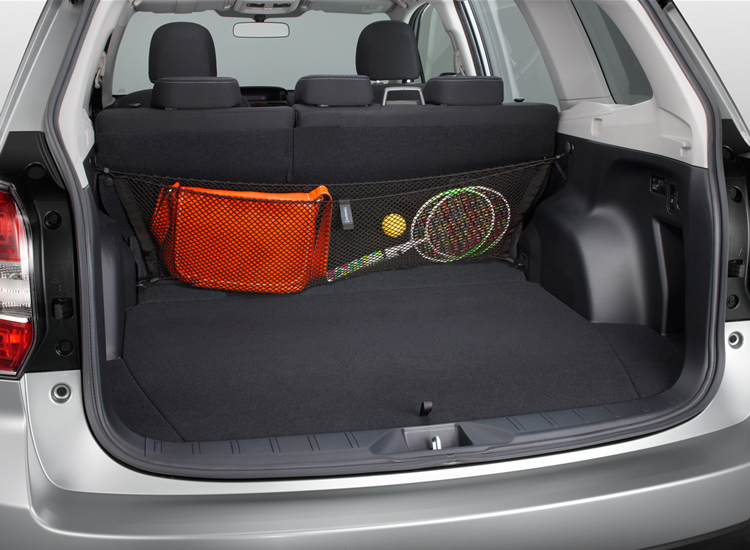 Stretches across the side of the cargo compartment to hold small items and keep the cargo area tidy. 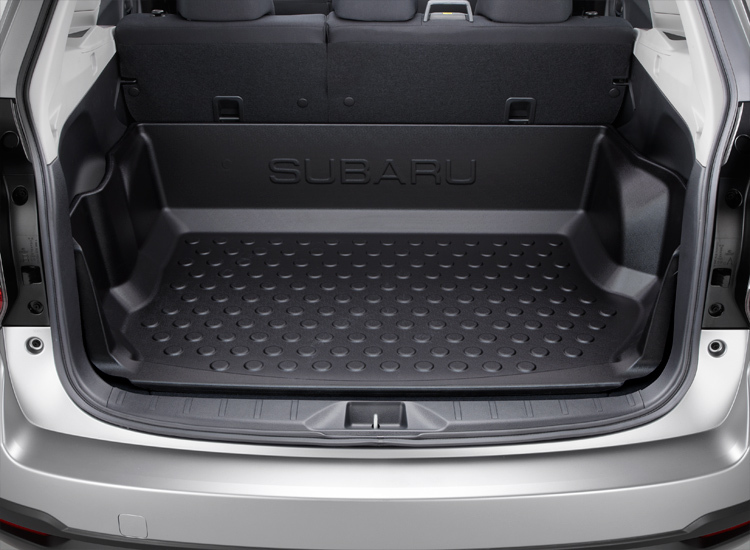 Helps prevent the cargo/luggage from shifting when the vehicle is in motion. 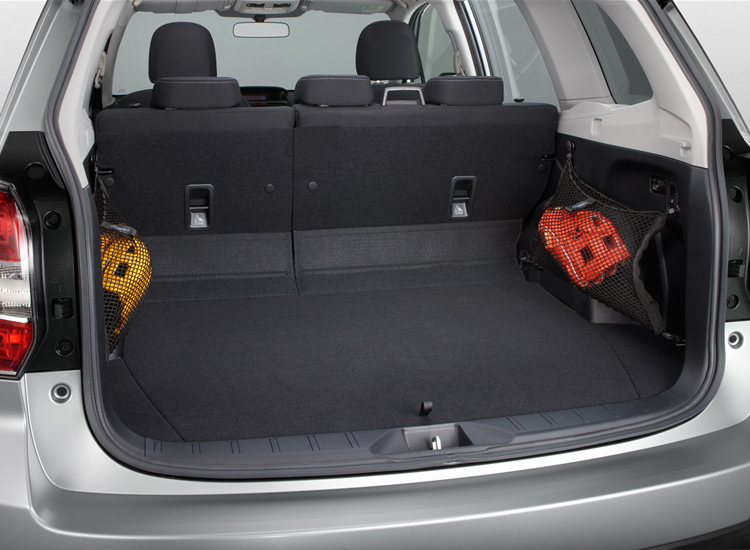 Separates passenger’s seats from the cargo compartment when carrying dogs. Not in combination with Cargo Tray Deep.